The first thing I have to say is this: It is a shame my copy of this book has crap cover art (different from the edition pictured), for two reasons. 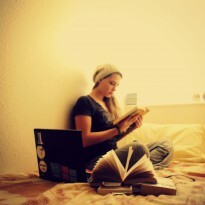 First, I like my books to be pretty and not look cheap. Shallow but true. Second, I almost didn’t buy it because the cover art seriously put me off. The next thing I have to say is this: I am so glad I bought this book in spite of off-putting cover art. I don’t really know what made me do it. It might have been the dustjacket summary. It might have been the first page. But it was a good decision. 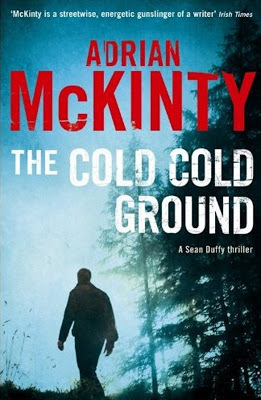 The Cold Cold Ground chronicles a triple murder investigation conducted by Sergeant Sean Duffy of the RUC in tumultuous 1980s Northern Ireland. Someone starts killing suspected homosexuals, which is a dubious start to the whole thing because homosexual acts were illegal in Northern Ireland at the time. Add to that the conflict of Duffy being a good Catholic boy in intolerant Protestant country and you’ve got a pile of gunpowder to work with. Adrian McKinty’s prose is elegant, efficient, and refreshingly funny. Duffy is impulsive and prone to rule-breaking, but overwhelmingly likable. An Irish homicide detective who likes Dusty in Memphis and trots about in Deep Purple concert t-shirts? Sean Duffy, you are my personal dreamboat. The story is layered but surprisingly easy to follow. Duffy has to hunt down Northern Ireland’s first sociopath serial killer while trying to defuse local riots and avoid getting blown off the road by a car bomb. The backdrop of the Belfast riots adds a sense of urgency to this book that I rarely find in thrillers/mysteries, and the whole issue of homophobia in Northern Ireland adds a level of social awareness that most books in this genre lack. McKinty doesn’t shy away from the issue, either. The characters are politically incorrect without apologizing (truth of the times), and the homosexual characters are neither presented as villains or martyrs, but as real, complex people (imagine that!) Perhaps the most interesting (and slightly mind-boggling) passage in the book details a brief but intimate encounter with a gay man in a public bathroom that leaves Duffy (and the reader) feeling conflicted, guilty and enormously confused. This is addressed again in the story, but never with any sense of finality. I’m curious to see if it comes up again in the other two books. I can’t decide if the lack of closure on that particular issue bothers me; but I can say that it didn’t bother me enough to keep me from enjoying the book and wanting to read more. My other complaints were relatively minor: Duffy seems to be grasping at straws for most of his investigation, and the villain gives us a massive info-dump at the end containing a bunch of information that I would have liked to have seen Duffy work out on his own. I also feel like this book deserved a better title. The Cold Cold Ground feels a little too much like it was spat out by a crime fiction title generator. Still, the style of the prose and strength of the characters kept me reading fast. I finished this thing in three days. So if you like a good crime novel (and I do mean a good crime novel) or you just want to get your Irish on, I’d give this one a whirl. Four stars. Buy it on Amazon here or click here and add it to your Goodreads shelf.